When it comes to mobile phone management, we all download the standard software/suite which our mobile phone company provides us with. At the same time, we all know they are deficient in many aspects and lack in many advanced functionalities, on top of which some are laggy and many times unstable. 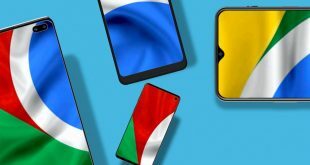 Detection of a phone from another manufacturer can be an issue also which can be irritating if you carry multiple phones, from different manufacturers. However, there are many Third-party tools online that let you manage your iOS or Android devices, but since spying and collecting data by apps is on a high, you can’t trust most of them quickly. Also, many of them lack in certain functionalities and capabilities when compared to other apps. 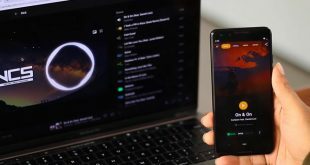 So, in an urge of solving this situation, we came across many advanced phone managers and certainly fell in love with this: TunesGo from Wondershare. You can download TunesGo from their official website, and the application is available for Windows and Mac. The installer is a small sub 1 MB file, and after that, it downloads the additional resources using your internet. The installation is a straightforward and quick process (although the quickness will depend on your internet speed). TunesGo works with Android devices running 2.2 or later, as well as iOS devices running iOS 5 and later. To make the app work with your Android and iOS devices, you need to follow some steps first. 1. After installation of TunesGo, launch the app on your PC. 2. Connect the iPhone or iPad to your PC, and unlock the device. 3. You’ll see a pop-up message on your iOS device to ‘Trust This Computer‘. Press ‘Yes‘ when the prompt appears. 2. You can skip to step 3 if you have Developer Options enabled. If not, then head to Settings, and tap on Build Number 7 times. 3. Go to Settings, Developers Options and enable USB Debugging. 4. Connect your Android device to your PC via the USB cable after unlocking. 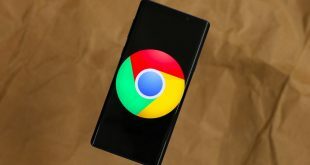 After that, you will need to give your PC permission to use the device you have connected with USB Debugging, so follow the prompts on your Android device. NOTE: Without enabling USB Debugging, TunesGO will not work on Android. To access the advanced features, the app needs to access advanced settings directly for which Debugging is necessary. If you are having difficulties with enabling Debugging, take a look here. These steps will allow you to connect your iOS or Android devices to TunesGO, and from there you can begin operating the app. This section is where the application shines thoroughly. TunesGo has an unbelievable number of features when it comes to a phone managing software. Whether you’re using an iOS or an Android device – some of the functionalities may differ, but both of the mobile Operating Systems have superb support using TunesGo. Transfer your music between your PC and smartphone without having to worry about converting anything – as the app manages that automatically. Along with your music, all of your playlists, podcasts, audiobooks etc are also carried forward. Create a backup of the music content which is on your mobile device, and after that you can rebuild the database, and organize your music. The app does a fantastic job at organizing your music, as it automatically arranges all of your music in order – as well as deletes any duplicates (if any) and downloads the cover art for the music as well. Backing up of photos and videos is also made easy with the use of TunesGO. App manager helps you take backup of your apps in a batch if you need to, which can save a lot of time. With the use of a single click, you can uninstall and install multiple apps. Creation or editing of GIFs is also possible, and then you can choose whether to keep it on your PC or transfer it to your mobile device. You can add, delete or edit playlists directly from the app as well. Can import and export text messages without any restriction. Recording music is also available via the app, and you don’t have to tend for other third-party applications. It can ROOT certain android devices as well. The number of devices isn’t high, but if your phone is one of the supported ones, then the process is easy (and you don’t have to fiddle around the recovery). The interface of the application is neat and clean. There are multiple sections or tabs of the app you can visit, such as Home, Music, Videos, Photos, (Contact) Information, Apps, Explorer, and Toolbox, and all of them have additional features within. Note: Clicking on the section names above will open screenshots of the tabs. The speed and performance of the application are top notch, and there was no slowdowns or lag of any kind. The CPU and the RAM usage for the app are also minuscule, and even an old PC or Laptop will be able to run TunesGo properly without any issue. The screenshot below was taken on a Laptop running Intel i5 2nd Gen and 4 GB of RAM. The price of TunesGo is a bit on the high side. Depending on the variant you want to try out, the pricing model of the app changes. There is a multi-platform version of the app, as well as exclusive iOS and Android devices ones, as well as one-year license and a lifetime license difference. A 1-year License costs $39.99 whereas a Lifetime License costs $59.99. There is also a Family License available for $149.88, which is also Lifetime. A good thing is that you are able to try the app for free, but there are limited features available for use. In case you purchased the app, and later you changed your mind – there is a 30-day money back guarantee as well. The number of functions that a simple app like TunesGo can provide for your mobile device is outstanding. The app provides a huge number of options for managing any data which exists on your iOS or Android device. If there have been other types of phone managers you’ve tried, and been unimpressed – then you owe it to yourself to try TunesGo once. We can certainly recommend you to try out this excellent software. Although the price is on the high side, the huge number of features the app provides makes it worth your hard-earned money. You should certainly buy this software if you’ve been looking for a management suite for your device, and have been disappointed with the default software like iTunes. Let us know your thoughts and comments below, via the comments. Based in Kolkata, Amandeep is a Technology enthusiast who loves to browse the Internet in search of anything interesting. His interests include video games, football, and pro-wrestling.